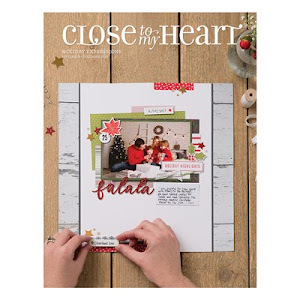 Welcome to the March Paper Trail blog hop featuring Close to my Heart papers. If you found your way here from Connie's blog, Scraps & Stories, your on the right path. 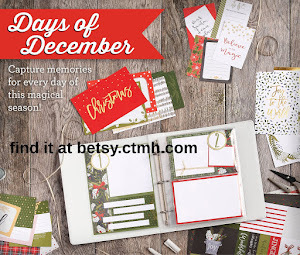 Our blog hop is circular so you'll see it all no matter where you start. 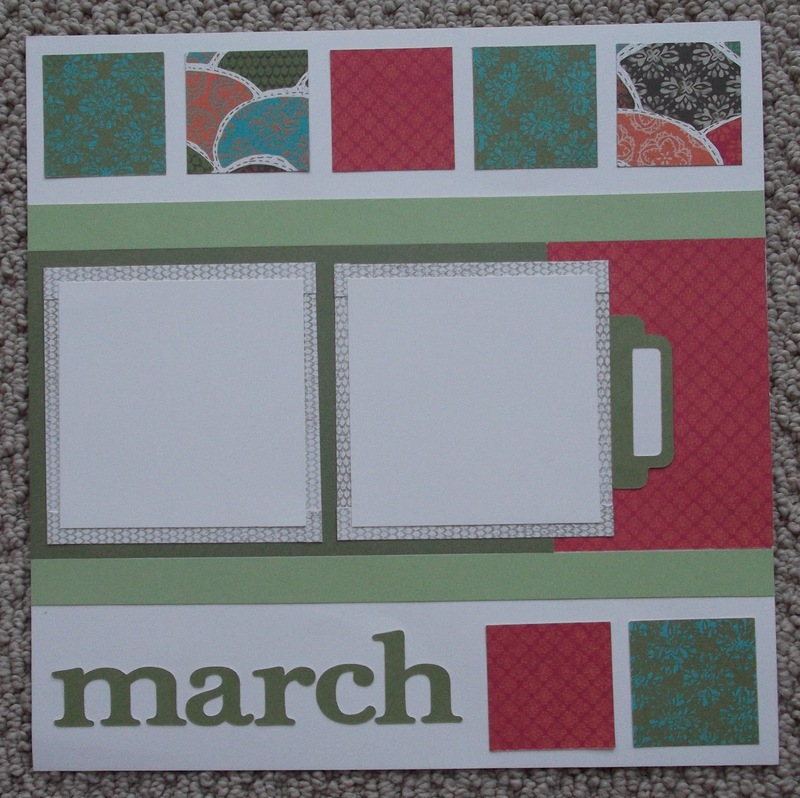 This month we are using the Stella paper pack. 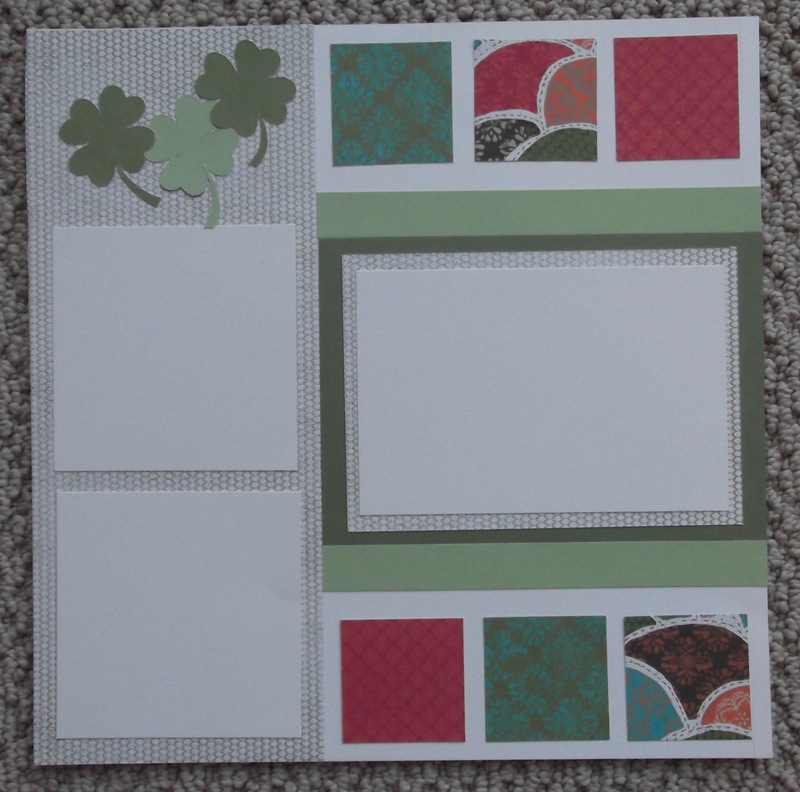 These are gorgeous papers, some with stitching or markings like a dress pattern. But don't let that limit your imagination. 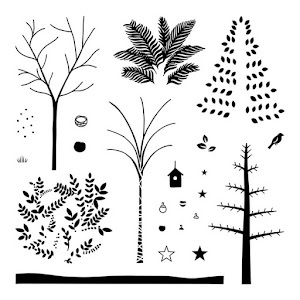 There's lots you can do with this set! 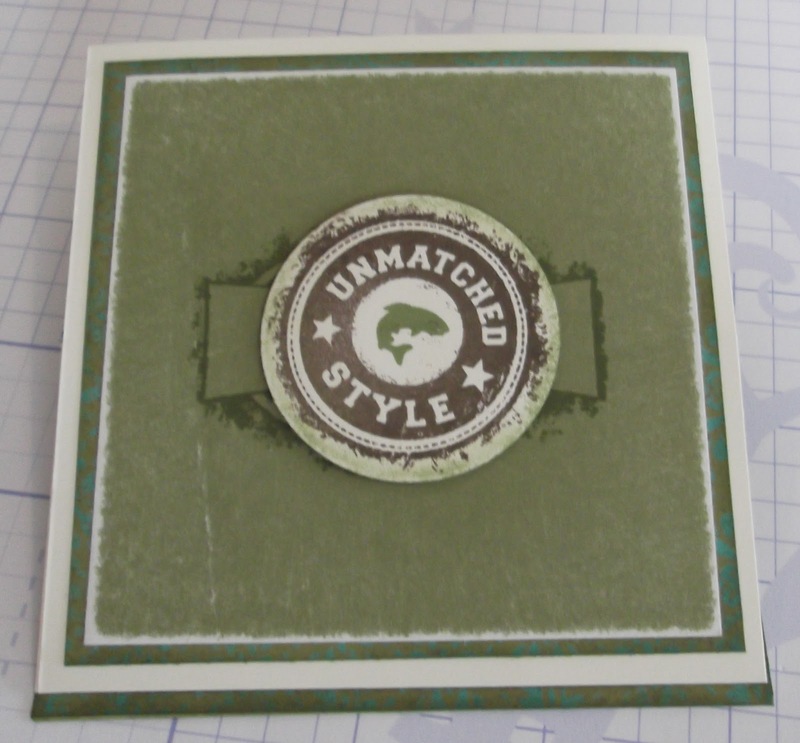 This first card I did for a stamping club I am a member of. 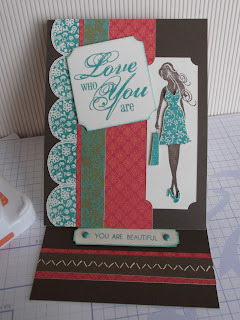 We are all required to create a card using the same sentiment. This sentiment is not from CTMH but everything else is. I am so pleased with how it turned out. 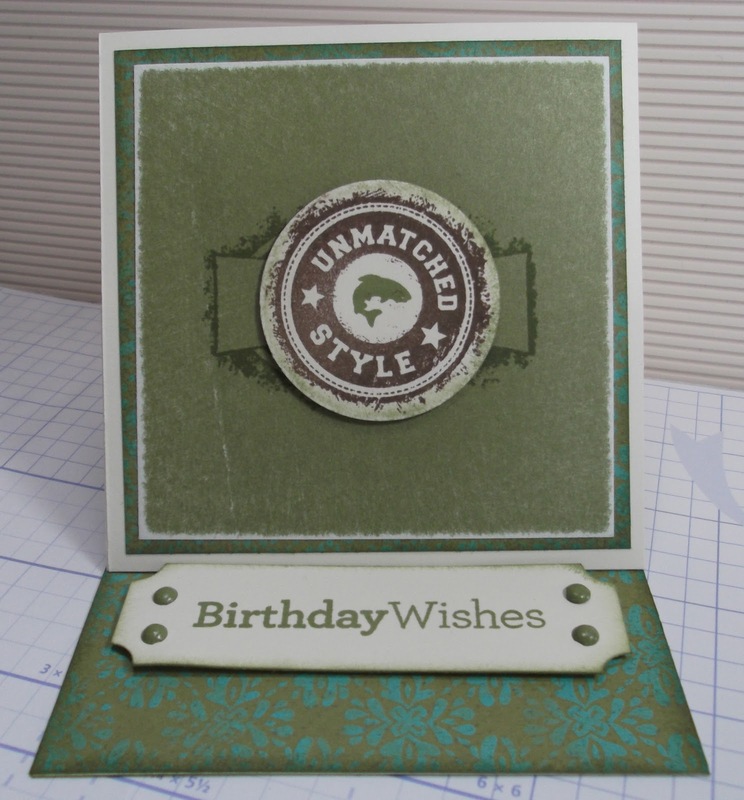 The base is our 6x6 Kraft die cut card. 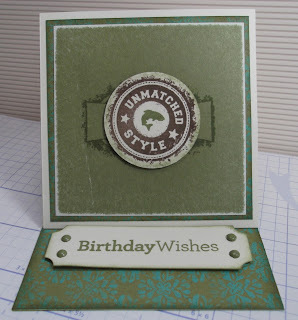 Next I did an easel card. I LOVE easel cards, they display your art so nicely and are so much fun to make. 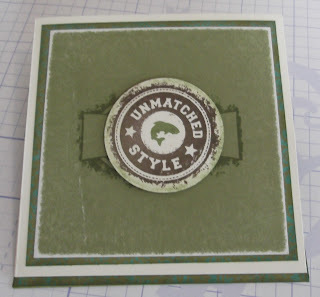 For this card I stamped the border on the left using the top of the chair in the stamp set included with the Stella Workshop on the Go. Also paper pieced the gal's dress & shoes. Yes, I cut out those tiny little shoes. Made me think of playing with my barbie dolls in the old days. 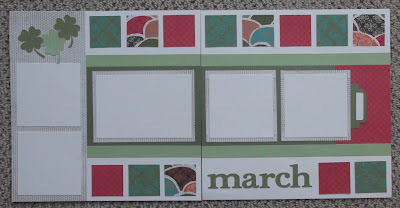 Lastly is the March layout for my Scrap through the Year class. 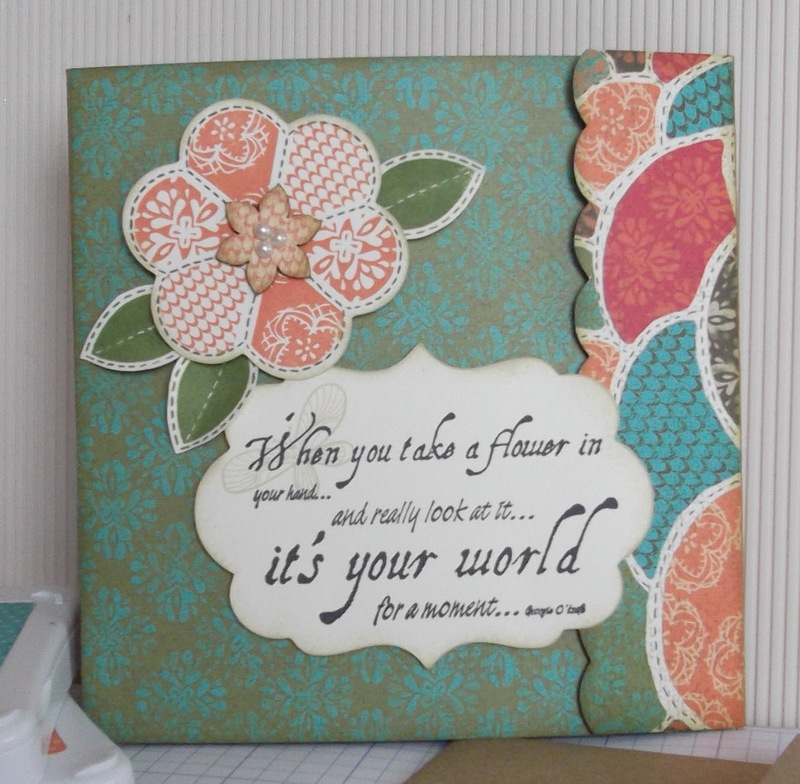 The Inspiration comes from the Studio J layout on page 55 of the new Idea Book. 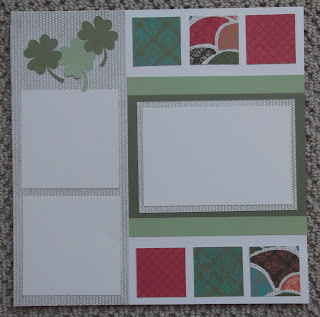 My letters and clovers are cut from the Art Philosophy Cricut cartridge. Thanks for stopping by today. I hope you found some inspiration from my artwork. Now hop on over to Lynne's blog, Field's Finery and check out what she's got going on in her craft room. Wow, you've been busy! Nice projects. Your layout looks great. Great projects! I love them all, but I think my favorite is the very first card. I love all of these projects!! 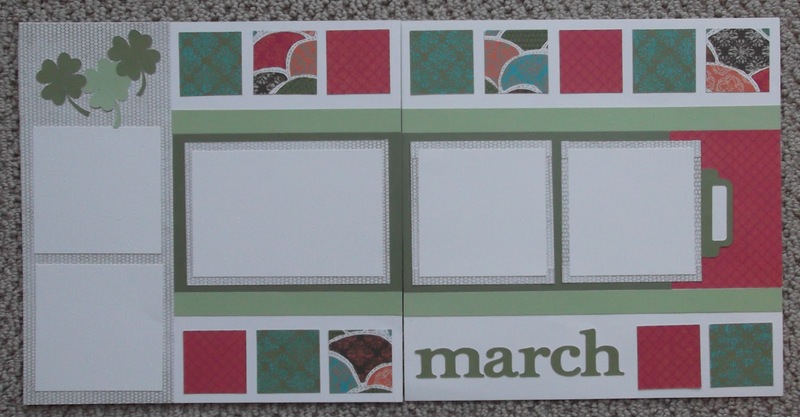 The March layout is just too cute! The March layout may be stamplifted! Love all of your projects!